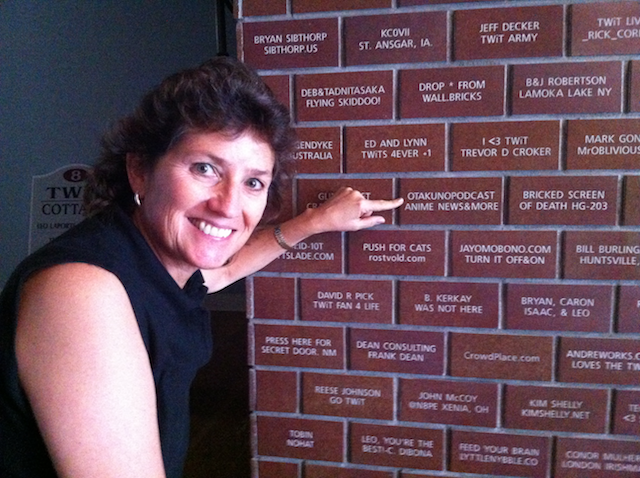 TWiT (This Week in Tech) is a podcast network that focusses on technology and technology news. 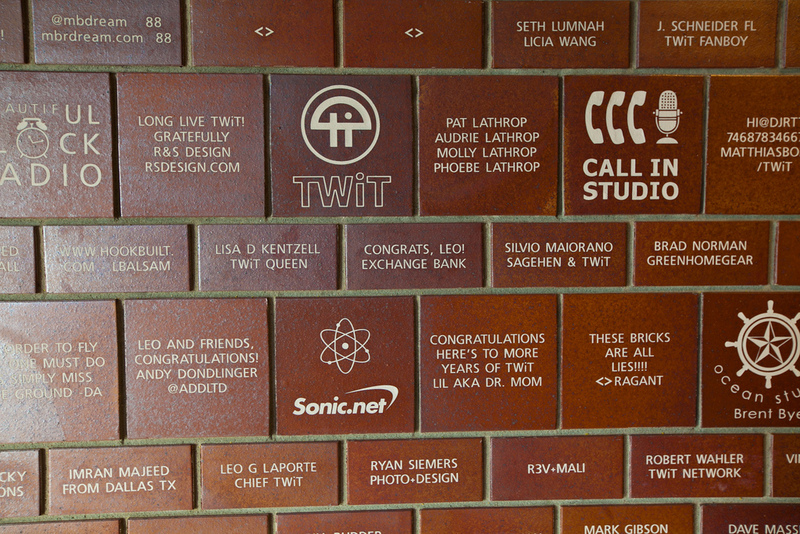 The TWiT Brick House hosted its first such podcast in July of 2011. 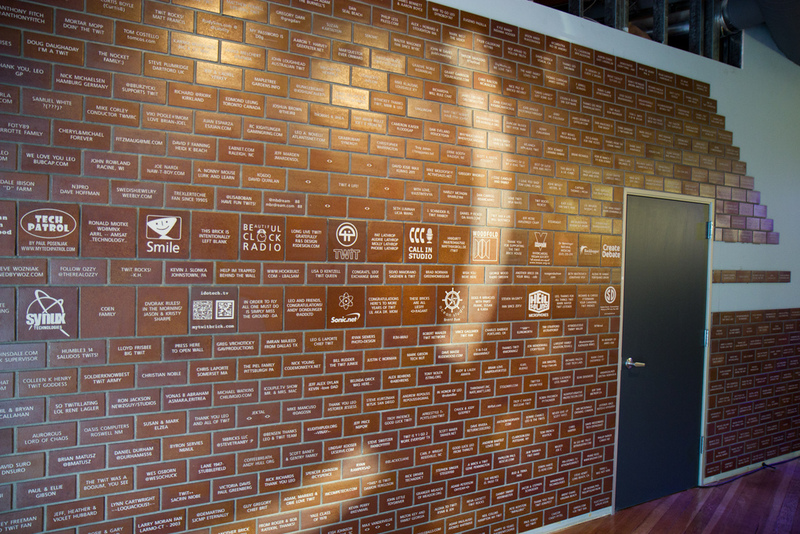 To help fund the construction of this new studio, personalized bricks were sold and displayed in the entrance lobby.